Mega Sale! Save 29% on the Ambuker 12v 16A Motorcycle CNC aluminium alloy 2 in 1 on/off/on rocker Switches 1'' 25mm Handlebar headlight Switch kits Sport Dirt Electric Bike Interrupteur Moto by Ambuker at Track Mania. MPN: 4333308409. Hurry! Limited time offer. Offer valid only while supplies last. 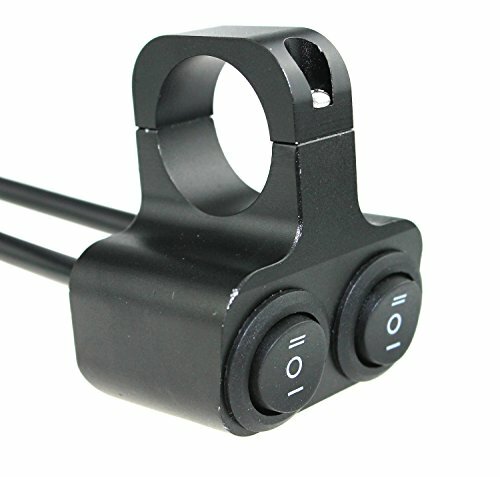 Two in one Motorcycle CNC on/off/on switches kit,one switch can control one device.